Rev. R.D. Whalen faithfully serves Southern Oaks United Pentecostal Church as pastor emeritus. Bro. Whalen has provided a strong foundation for our church. He gave 37 years of his ministry to the Southern Oaks United Pentecostal Church. His ministry has produced several ministers, ministers’ wives, missionaries and great saints. The district and his church was blessed with his solid Biblical teaching. He also served as Oklahoma District Superintendent for 18 years. He currently serves the United Pentecostal Church International as an honorary general presbyter. Thank you, Bro. & Sis. Whalen for a great legacy. during his early childhood. Rev. Deal received his call to the ministry in 1939 and served as assistant pastor in Memphis Tennessee. He met and married Gladys Marie Hurt in Tennessee in 1941 where they lived for a short time. He began his full time ministry evangelizing in and around the Memphis area. At the request of an Oklahoma pastor he began a revival in Henryetta. Upon completing that revival he went to Allen, Oklahoma to build a church. After a few years Rev. & Mrs. Deal accepted the pastorate of the Dewar Church. 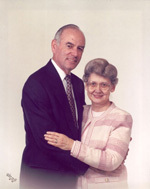 While pastor of Dewar UPC he also served as Secretary for the Oklahoma District and as Superintendent until 1983. After some 46 years of ministry Rev. Deal retired in 1990 and worshipped faithfully with the people he loved and served as pastor for so many years. Rev. Deal left his earthly abode on June 11th, 2007 to await a resurrection to new life. The memory of his life and ministry continues to flow. “It’s real. It’s real, I know it’s real.” As C. A. Nelson’s rough-edged voice rang through the auditorium, the large congregation at the Anaheim, California, general conference stood, lifted their voices, and praised God. Not only was the singer’s experience real, the man was real. From humble beginning, the son of an Arkansas sharecropper, to the podium at general conference, as the evening speaker, Clarence Nelson was a real man, a man’s man. Like Moses, he was leader; no matter how angry he got at his followers, he always loved them and interceded for them. As an evangelist during the depression, he prayed for two cents to buy a stamp. He and his bride, Edna, traveled with their world’s goods stuffed into one little cardboard box. In 1937 they accepted the pastorage of the church in Tiawah, a small dot on the map. In time two children, Shirley and Duane, were added to their family. For many years the Nelsons lived next to the church in a drafty three-room parsonage, sans indoor plumbing. Three years after the merger he was voted in as Oklahoma-Kansas district superintendent. In the newly organized United Pentecostal Church law and order were being established. Boundaries were being drawn. False doctrines were being shot down. The times demanded a strong leader; the Spirit chose C. A. Nelson. 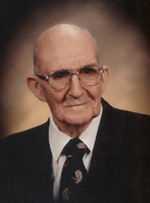 In 1952 Brother Nelson moved his family to Claremore and founded the church there. When his health began to fail, his son Duane became co-pastor. 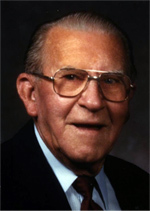 Brother Nelson remained in Claremore until his death October 22, 1995. He only had an eighth grade education, but that did not stop him. He made an impact on people everywhere he went, from the donut shop in Claremore to camp meetings across the nation. Everyone was his “best friend.” That’s how he made people feel. He was warm, compassionate, and giving, often slipping money to those in need. He was a fiery evangelist, a caring pastor, and a strong superintendent. He worked side by side with the people of the Oklahoma district to build a campground second to none. He skimped and saved the district’s money to provide for the future, even when it meant paying his own expenses. Elder Nelson was especially proud to be an Honorary Member of the Oklahoma State Trooper’s Association. Six Oklahoma active and retired troopers were pallbearers at his memorial service. C. A. Nelson was a real man with a real vision who left a real impact on the Oklahoma district and thousands of souls.